As a kid I used to devour books like most kids can consume candy. Reading came easily and there was a certain satisfaction in the finishing and starting of a new book so quickly, or even in reading multiple books at a time. I could jump from one person’s memoir to another author’s fictional world in the matter of a chapter. I vowed I’d never feel like that about reading, but alas I grew up, learned about what it’s like to work anywhere from 8 to 12 hours a day and before you know it four years had gone by without reading a single book. My inner child was ashamed of myself. Don’t get me wrong, I tried. I would go to bed and try to read, but would fall asleep less than two pages in. At the start of this year I was in somewhat of a dark place personally, feeling winter blues, not satisfied with my job and a couple of other personal things. I wanted to escape in a sense, so I made the resolution to get back in to reading. I would read a new book every month (if some books were particularly long, I’d allow the completion of the book to take two to three months [progress, not perfection]) and not only have a stuck to my resolution, my health (mental and physical) has improved by leaps and bounds, which is what I believe has made me stick to this resoultion. So if you’re the type who says “I just don’t like reading,” or “I’m too exhausted/busy/distracted to read a book,” I urge you to give it another try for the reasons listed below. And if you’re having a hard time getting in to the groove of it, we’ve included some tips, too. According to a poll conducted by the National Sleep Foundation, 43 percent of Americans between the ages of 13 and 64 say they rarely or never get a good night’s sleep on weeknights. The poll also found that the majority of those who reported inadequate sleep also claimed to use some form of communications technology in the hour before bed. This is due to the light that emits from electronic devices, which keeps our brain in an “information processing” mode. The light also signals to our brain that it is time to wake up, not to fall asleep. Reading before bed allows for a winding down period that gives your brain the ability to come to a state of rest, which makes falling asleep easier and makes you sleep sounder. You may notice at first that reading will put you immediately to sleep, but once you make a habit of cracking open the book, anywhere from an hour to 30 minutes before your desired bedtime, you’ll be able to stay awake through more pages. Research by Mindlab International at the University of Sussex confirmed that reading works better and faster than other stress reducing actions such as listening to music or going for a walk. In this study, participants exhibited reduced stress levels (slower heart rate and eased muscle tension) by 68 per cent after reading for just six minutes. But we don’t need too many statistics to know that’s true. That’s why when we are in the groove of reading we clammer for the free moments where we can get away and read. As much as people are addicted to stress (work, mobile devices and jammed packed schedules), with some rewiring we can shift that addiction to something much more productive while simultaneously doing our mind and body good. Even if your career isn’t naturally a “creative” one, take for example, nursing where there isn’t much room to be the traditional definition of creative, every job still requires minds that need to analyze, problem solve and critically think. It all ties back to why we had to dissect literature in school. While those assignments may have seemed like a pointless way to pass time for a grade school teacher, those assignments were aimed at increasing your ability to think outside the box and come to a variety of solutions to a problem. In addition to critical thinking, fiction in particular allows for our minds to follow a story and subsequently think up stories of our own when we need to pull from the creative well. Most people in professions such as graphic design, writing or another form of media will tell you they were inspired to create something new that was spurred by something else the read from a book. By using reading to fuel your creativity you’ll also be improving your overall sense of optimism and happiness from the mental stimulation that reading brings. – When you sit down to read, keep your phone out of earshot and eyesight. 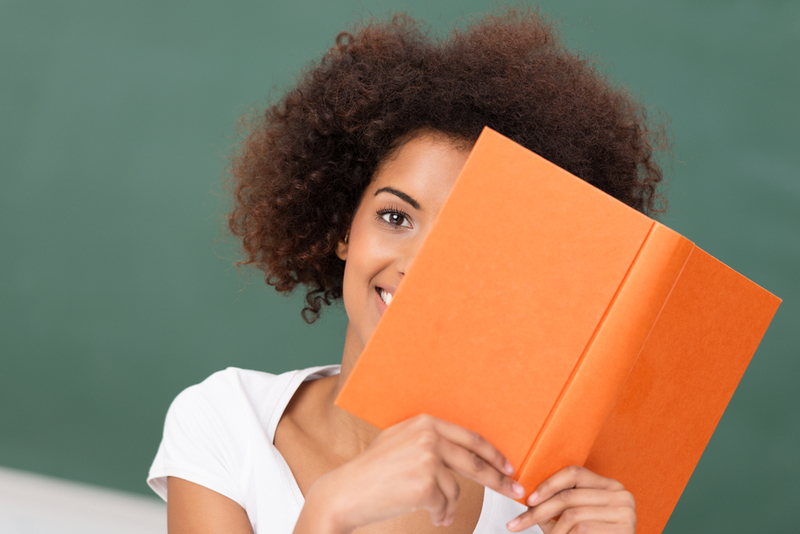 One of the main reasons we feel like we can’t read is because we’re too distracted to do so. – Set a benchmark. You don’t have to finish an entire chapter in one sitting. Some books have chapters two pages long and for others it could be 20 pages. If starting with five to ten pages is realistic for you, set your bookmark there and read ’til you hit your bookmark. Over time you’ll want to expand your benchmark more and more. – Getting a reading buddy. You don’t need to read with them per say, but pick the same book and stay accountable with each other, kind of like a smaller version of a book club. Actually, this article in the Wall Street Journal also poses an interesting idea on reading groups, along with other various health benefits of cracking open a book : Read Slowly to Benefit Your Brain and Cut Stress. What are some of the books on your reading wish list? Let us know how reading positively affects your life in the comments below! The Best Medicine for Anti-Inflammation… Is This Menu! Is Your Headache Actually Being Caused by TMJ?